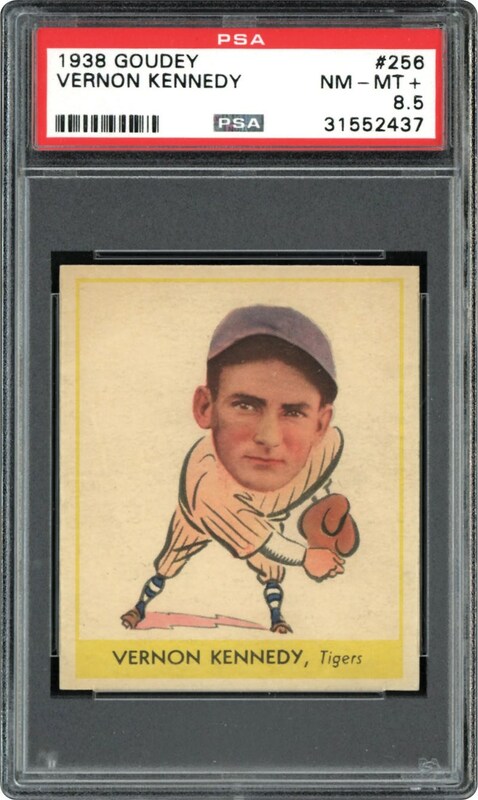 Lot # 106: 1938 Goudey “Heads-Up” #256 Vernon Kennedy (PSA NM/MT+ 8.5) - “1 of 1” & the SOLE HIGHEST GRADED Example! 1938 Goudey "Heads-Up" #256 Vernon Kennedy (PSA NM/MT+ 8.5) - "1 of 1" & the SOLE HIGHEST GRADED Example! 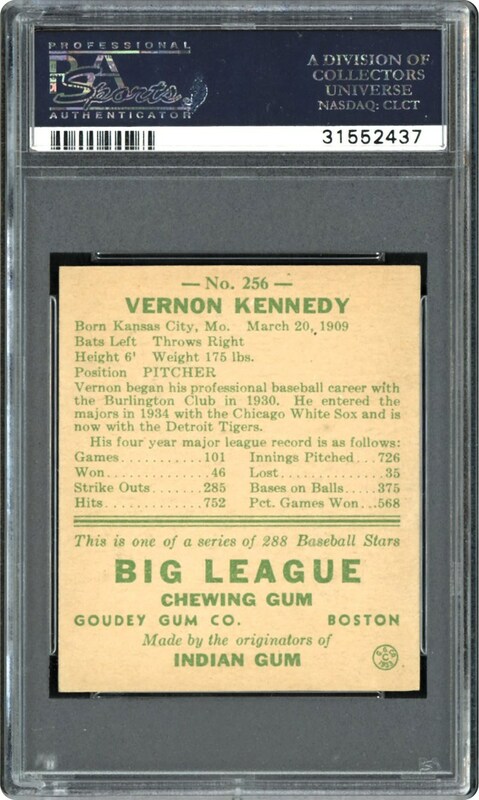 Presented here is the absolute elite collector's dream; a 1938 Goudey PSA NM/MT 8 Vernon Kennedy gem that holds the unparalleled distinction of being the SOLE HIGHEST GRADED example of its kind. Its "1 of 1" highest graded stature is more than justified by its awe-inspiring aesthetics including Indeed, of the nearly 90 PSA encapsulated specimens, not a single other #256 Kennedy has managed to achieve this world-class assessment that stands at the top of the charts as the unequivocal "best of the rest"!